Firmly established as a world-class jazz, funk and soul vocalist with a professional singing career spanning 20 years, Annabel Williams has been performing with the Dark Blues since 2003. Annabel's rich experience and vocal stamina has caused her to become one of the most in demand vocal coaches in the country. Her celebrity artist clients have included Katy Perry, Amy Winehouse, Ellie Goulding, Stooshe and Alison Moyet. She became the official vocal coach for the X Factor in 2012, and the official vocal coach for Britain’s Got Talent in 2013. She also provides backing vocals for major international artists, from Al Jarreau to CeeLo Green; Nicole Scherzinger to Dame Cleo Laine and Rumer to Michael Bolton. As a solo artist, Williams can frequently be seen performing at London’s most celebrated venues, from Ronnie Scott’s Jazz Club and the Hideaway to the 606 club. Influenced by soul, funk, jazz and pop royalty including Stevie Wonder, Beyoncé, Ella Fitzgerald, Aretha Franklin and Michael Jackson, Annabel says the artist she’d like to swap places with for one night in history would have to be Aretha Franklin filming The Blues Brothers. Nationally recognised in the 2018 New Year Honours list for services to music, Nigel has had a huge impact on the UK music scene from over 50 years of leading The Dark Blues, as Executive Chair of the National Youth Jazz Orchestra (NYJO) and for his contributions to the Worshipful Company of Musicians, of which he was Master in 2003. Since graduating from University College Oxford in Physics, Nigel had an illustrious business career, working for IBM by day while playing 100+ gigs a year by night. Since 2003, he has concentrated on The Dark Blues and NYJO. Nigel is happily married to Professor Deborah Cunningham and enjoys spending his time between his Italian house, Ripertoli, set in the beautiful Tuscan hills and at his country farmhouse in Hertfordshire. Favourite Dark Blues party song: “Hey Baby”, closely followed by “It Must Be Love” (Madness version) and “Your Song”. Since graduating from the prestigious Jazz degree course at Leeds College of Music course and with an ALCM in Jazz Performance, John moved from Newcastle Upon Tyne to the bright lights of London. Since 2013, John has established himself as the go-to young saxophone player having already played alongside big-names such as Wynton Marsalis, Tim Garland, Bill Bruford, Gary Husband and The Average White Band’s Steve Ferrone. John joined The Dark Blues in 2015 but continues to perform across the globe with various jazz outfits and as an artist in his own right. He’s even been known to throw in the odd rap as part of his stint with The Dark Blues! Lol started his musical career as a clarinet player until he discovered the piano in his teens and developed a love of classic swing tracks and pop music. He rapidly developed a career as a solo singer-pianist, performing regularly at top venues for private parties such as The Savoy, The Dorchester and Claridge’s, which led to him being offered a ten-year residency at London’s Ritz Hotel. A favourite entertainer to the stars, Lol has regularly performed to a whole host of royalty and celebrities from The Queen and the Duke of Edinburgh to Brian May, Rod Stewart, Madonna, Cliff Richard and Tony Blair! But when the opportunity to join The Dark Blues came in 2005, Lol jumped at it because it’s even more fun playing with other top-class musicians than playing solo. Since graduating with a first class degree in Jazz and Contemporary Music from Leeds College of Music, Adrian has toured the world with Bjorn Again and shared the stage with the likes of Metallica, Shania Twain, Status Quo and Bryan Adams. An in-demand composer, Adrian has also written music for the BBC, ITV and Sky, held international publishing deals and has run a successful Guitar School, inspiring the next generation of young musicians. After joining The Dark Blues in 2009, Adrian has continued to perform at top venues around the world including Wembley Stadium, the Royal Albert Hall, Sydney Opera House and the Allianz Arena in Munich, often playing to audiences in excess of 100,000 people in his alternative role as Bjorn in “Bjorn Again”! Influenced by English rock legends, Led Zepplin and The Who, Bob has over 25 years of experience recording and performing live as a professional drummer. He has an impressive roster, having toured and recorded with Ray Davies, Jethro Tull, John Wetton, Chris Norman, Robert Plant, Go West, Marillion and Kino. 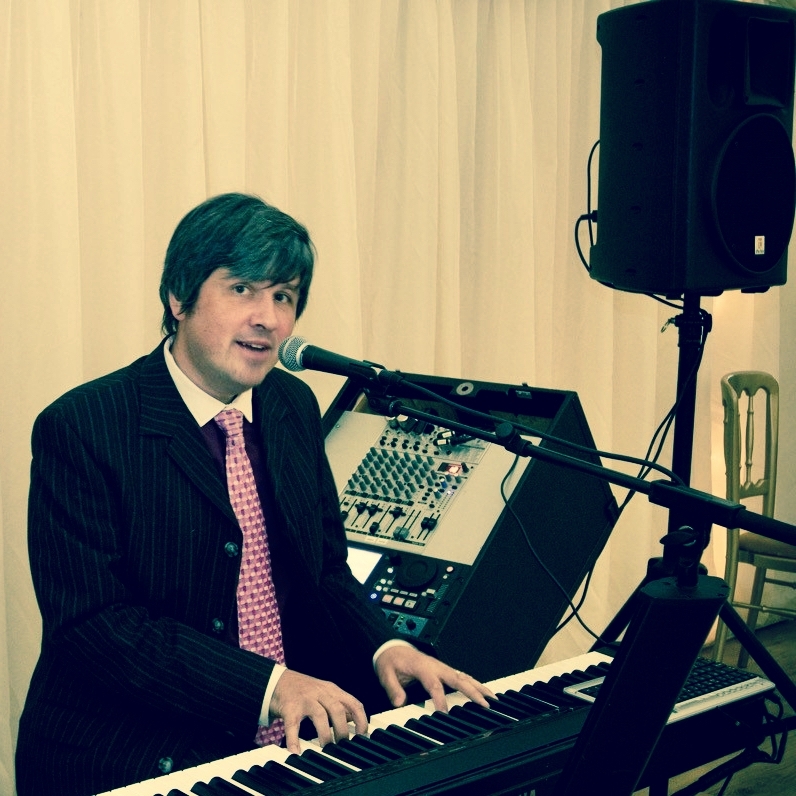 Bob is also a sought after session musician, having recorded on numerous TV and radio broadcasts over the years whilst being a dedicated member of The Dark Blues since 2006. 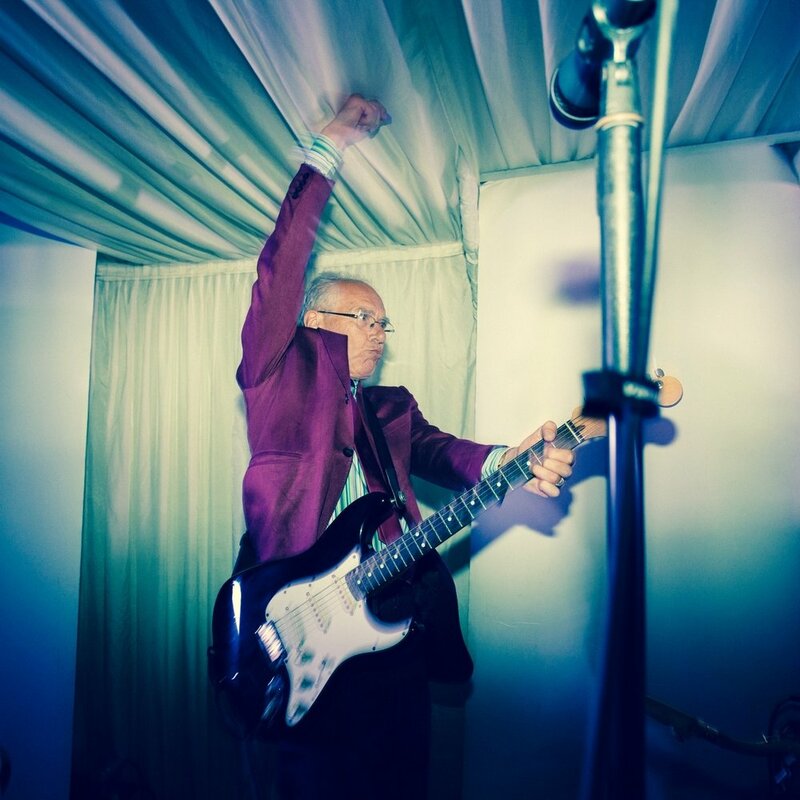 No stranger to the jet-set life, Bob has toured all over the world as a professional musician and he has just completed an 18-month tour with It Bites travelling across the UK and throughout America, Europe and Japan.